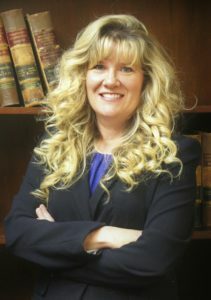 Becky Parker practices exclusively in family law, handling cases ranging from uncontested, amicable cases to disputed custody or property. Ms. Parker’s strong opposition to parental alienation and using the children as pawns leads her to be an aggressive advocate for both the children and parents who find themselves in these situations. She has represented both parents and children in Children’s Protective Services cases. Ms. Parker’s undergraduate degree in business administration as well as her extensive experience tracing separate and community property allow her to handle complex property cases. In addition to her family practice, Ms. Parker is a family law mediator, and prepares wills and durable documents. Before attending law school, Ms. Parker worked as a certified family law paralegal for 26 years. She has worked for some of the most prominent attorneys in Fort Bend and Harris Counties – three of whom are now current judges! During and following law school, she was employed by the law school as a teaching assistant for evidence, civil procedure, and Texas practice. Ms. Parker graduated from law school with honors – 8th in her class. Becky is a mother of three, and has been through the divorce process herself, so she understands the emotional and financial challenges of divorce. Ms. Parker takes the time to explain the confusing legal aspects of the case in a way that any client can understand. Ms. Parker’s clients appreciate her empathy, patience, and blatant honesty. Although Ms. Parker has the ability to work well with opposing counsel toward an expedient and amicable resolution of the case, she has the ability to aggressively defend her clients when necessary.